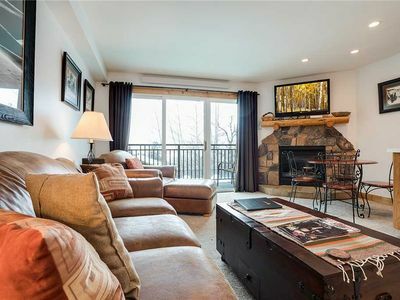 Phoenix unit 215 is a sought after two bedroom three bathroom condo. 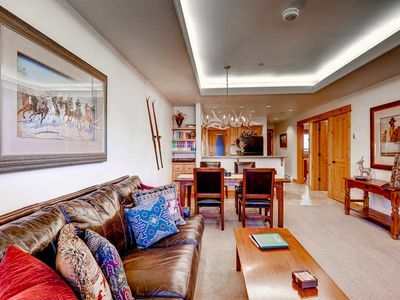 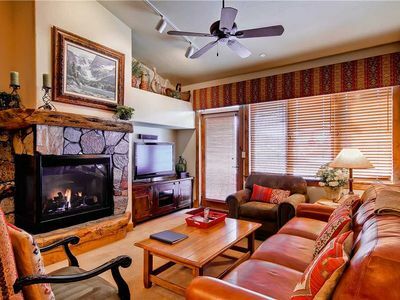 Spread out over two levels and offers guests the perfect location and amenities for anyone wanting to experience Steamboat and all the activities and events it has to offer. 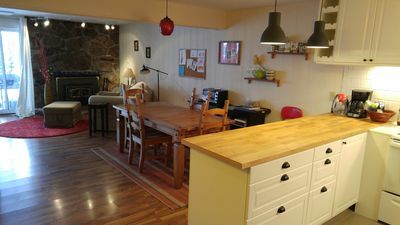 The unit features a fully equipped kitchen, a breakfast bar with seating for 3 people and a dining area with table, able to seat six people comfortably. 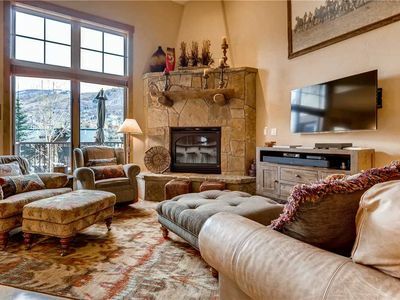 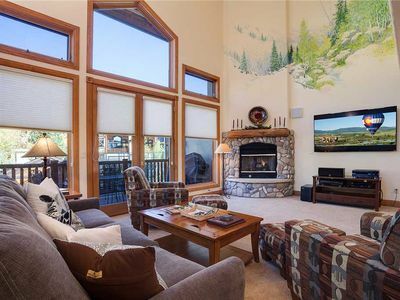 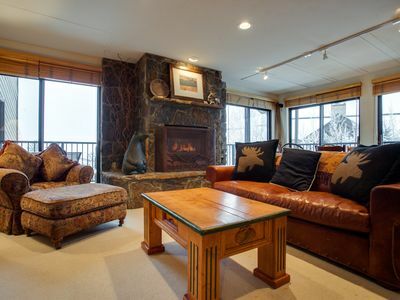 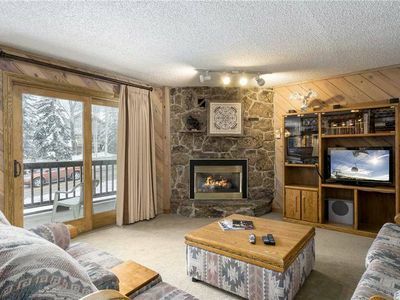 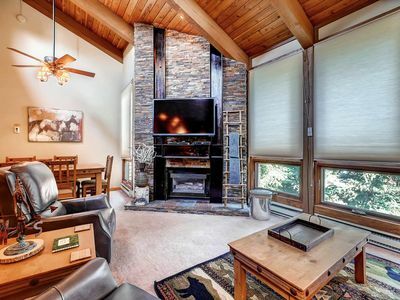 The living area features comfortable furnishings, a cozy rock wall fireplace and access to a private balcony, perfect to take in the fresh mountain air. 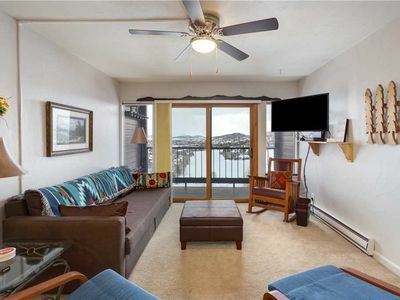 For entertainment this unit is equipped with 3 flat screen TV’s, a DVD player, and complimentary Wi-Fi for your entertainment. 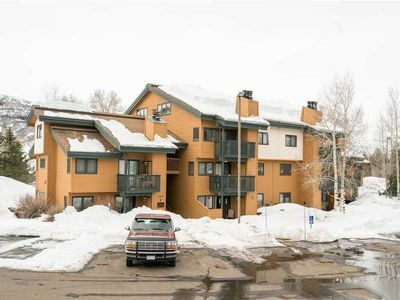 Additional unit amenities include an in unit washer and dryer and garage parking. 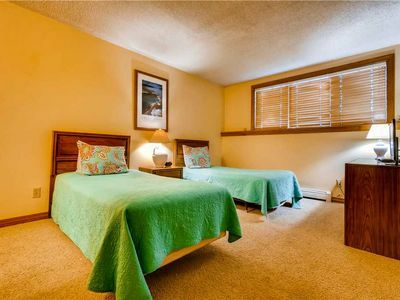 The first bedroom features a Queen Bed plus a twin daybed with a twin trundle, a flat screen television a working sauna and attached bathroom with a Jacuzzi tub. 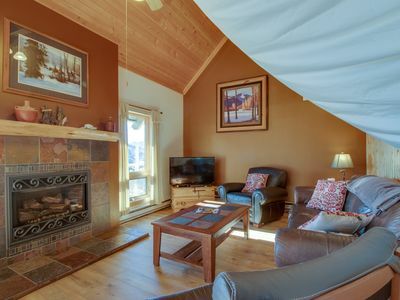 The second bedroom features a Captains Bunk as well as a twin trundle, a flat screen television and attached bath. 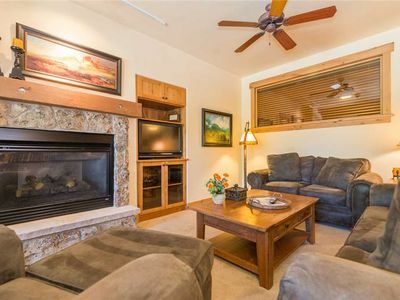 Please note, there is also a Queen Sleeper sofa in the main living area for additional sleeping space. 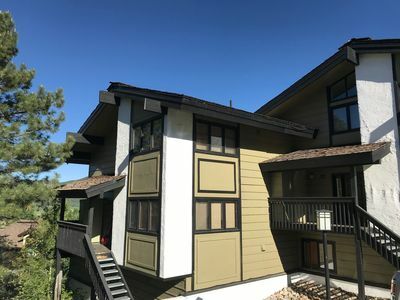 Enjoy amenities such as an outdoor heated pool, two hot tubs, dry sauna, BBQ Area with tables, fitness center and a conference room, perfect for meetings, family reunions, ski groups and so much more! 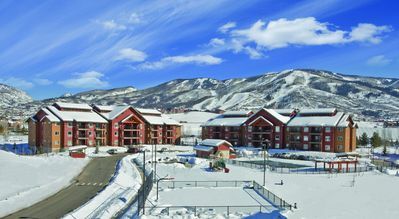 Steamboat Resorts also provides guests with winter shuttle services that will take them to skiing, shopping, dining and other area activities. SE042 by Mountain Resorts ~ Hot Tub Onsite, Mountain Views! 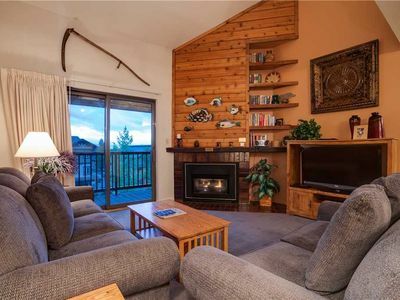 Relax in Beautiful, Lavish Condo Convenient to Mountain & Restaurants! 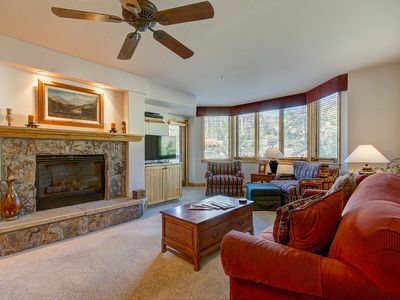 Huge Pool, Multiple Hot Tubs, Fitness Center and More! 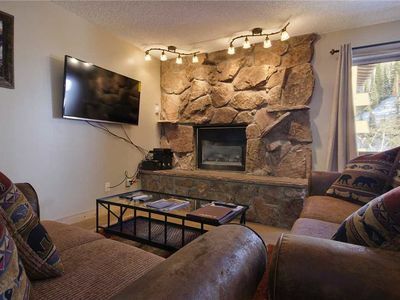 Fantastic Summer Rates - Heated Pool, Fantastic Amenities, Close To Downtown! 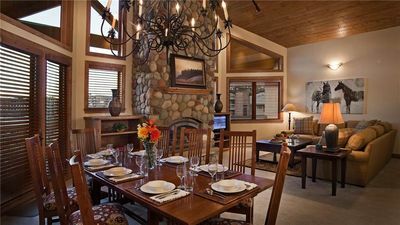 Fantastic Summer Rates -Great Steamboat Location and Stunning Views!